We realize a good reputation as a remodeler and custom home builder is valuable and not built over night. A high standard of quality and excellent customer service helps us to maintain our reputation in the industry and with our clients. Because of survey results from our previous clients, we have been afforded opportunities to earn awards for multiple accommodations. 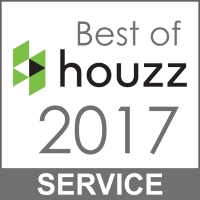 Similarly, these surveys and awards have helped us maintain our connections with other residential construction and remodeling organizations within the home building and construction industry. Although the awards and recognition are much appreciated, it is because of the praise and satisfaction of our past and current clients that motivate us to continue doing what we love.